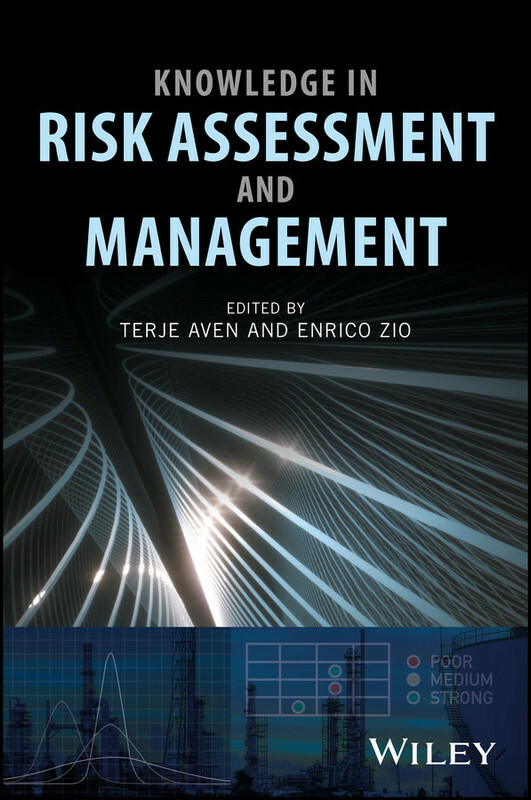 Knowledge in Risk Assessment and Management | Free eBooks Download - EBOOKEE! TERJE AVEN, PhD is Professor in Risk Analysis and Risk Management at the University of Stavanger, Norway. He is Editor-in-Chief of Journal of Risk and Reliability, the Chairman of the European Safety and Reliability Association and President-Elect of the Society for Risk Analysis. ENRICO ZIO, PhD is Director of the Chair on Systems Science and the Energetic Challenge of the Foundation Electricite' de France, at the Laboratoire de Genie Industriel (LGI), CentraleSupÃ©lec, Universite' Paris-Saclay, France, and full professor of the Department of Energy and President of the Alumni Association at Politecnico di Milano, Italy. No comments for "Knowledge in Risk Assessment and Management".